3D printing technology has helped to create everything from custom prosthetics and medications, and concrete bridges and buildings, to parts for cars and planes, as well as personalized pizza, athletic shoes, and jewelry. While many of these items weren’t created on desktop 3D printers, this brings me to a question that often pops up when discussing how far the benefits of 3D printing technology will reach – how long until every home is equipped with its own 3D printer, so we can make nearly anything we want without having to leave the living room? Will every home be? Should they be? When computers and phones were first invented, they were much larger than the models we carry under our arms and in our pockets today, and the same is true for 3D printers. While the first 3D printers in the 1980s were mostly used for industrial prototyping, with the size to match, many of today’s desktop 3D printers look entirely at home on a desk or kitchen counter. According to Kristin Houser in a recent Futurism post, if 3D printing advancements “continue on their current trajectory,” it doesn’t matter what kind of great ideas a retailer has for getting products to consumers fast – shipping could become obsolete if we’re able to print out the things we need at home. The possibilities are nearly endless – if you need to replace your shower head but Home Depot is already closed, you could just 3D print another one from the comfort of home. Accidentally broke your cell phone case? 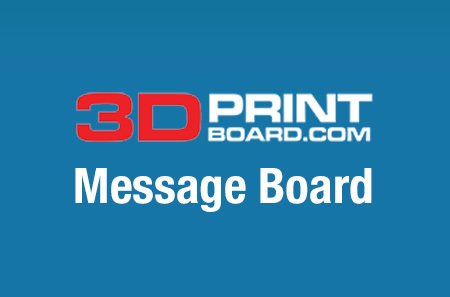 No problem – just print another one! Desktop 3D printers can cost as little as a few hundred dollars, and according to a study published last year by Dr. Joshua Pearce, using a low-cost, open source 3D printer at home to create household items, over a five-year period, can actually earn someone an almost 1,000% return on their investment. 3D printing necessary items at home can make consumers more self-reliant, and could even cut down on our carbon footprint if we can reduce deliveries and trips to the mall. Based on these points, you’d think that having one in every house in America would be almost a no-brainer. But they aren’t without their faults, and even the more advanced 3D printing systems definitely have their limits. 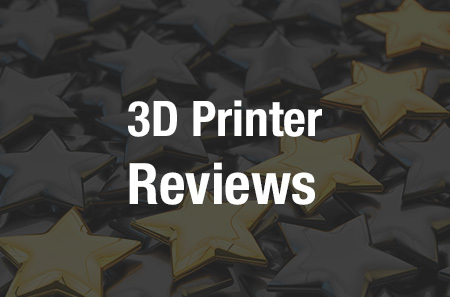 The number of 3D printers capable of producing electronic circuits is not great; not every system can use multiple materials, or even multiple colors; most aren’t developed with the consumer in mind and can have a steep learning curve. There are nearly 126 million households in the US, and according to the 2016 Wohlers Report, manufacturers sold over 278,000 desktop 3D printers in 2015…so even if every single one was sitting in someone’s home, and not in a library or makerspace, less than 3 out of every 1,000 households in the country would actually have a 3D printer. Monoprice CEO Bernard Luthi believes that we’re only about a decade away from most households owning at least one 3D printer that will be able to 3D print not all, but most, things you may need. “This transformation is not going to happen overnight. There are still obstacles that we, as an industry, need to overcome,” Luthi said. Some of those obstacles include the technology continuing to advance, and for truly affordable, consumer-friendly, and reliable 3D printers to enter the market. But Dávid Lakatos, Chief Product Officer at Formlabs, doesn’t believe the transition will happen quite as quickly. Lakatos believes that we’ll probably see 3D printing start to be utilized more in mass customization first, like Formlabs is doing with custom earbuds. In addition, he thinks that larger companies, such as Target and Amazon, will customize their products themselves, using 3D printing technology, before they are delivered to customers. While we obviously haven’t reached a consensus on when (or even if) 3D printers in every home will be a reality and not just a daydream, Luthi says that “the impact on our daily lives will be tremendous” should retailers ever get knocked off the totem pole due to at-home 3D printing. The possibilities for 3D printing are nearly endless, and ready or not, as the technology continues to advance, we’re creeping ever closer to the day when we’ll all have 3D printers on the kitchen counter. Maybe.